Your legacy and music continues to inspire a generation, as it did mine. Your message and your music is an expression of your passion for humanity and the manifestation of your God-given purpose. 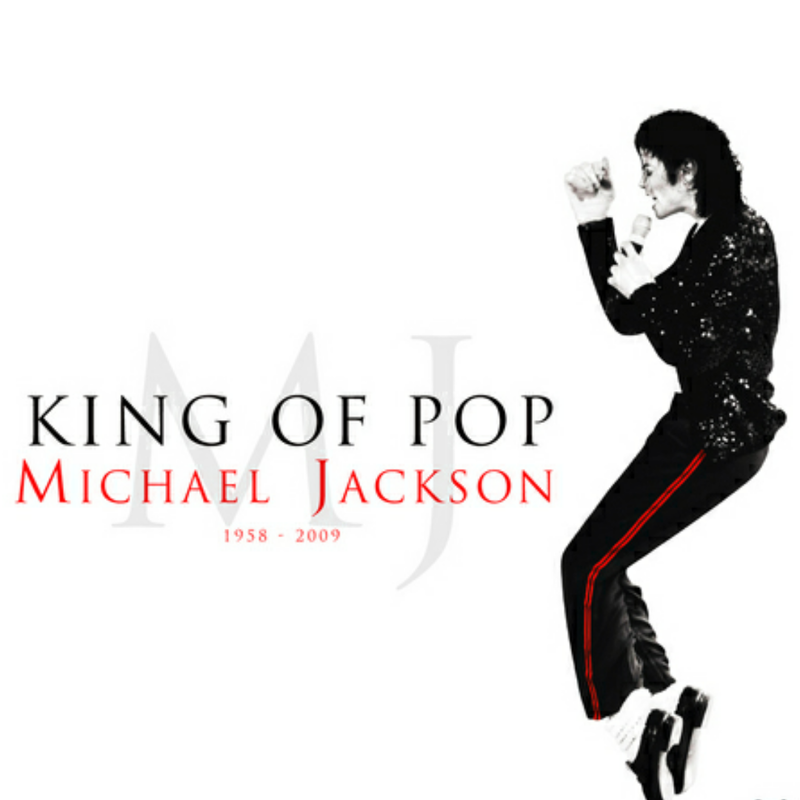 You shared with us how to live our lives ‘Off The Wall’ and ‘Get on the Floor’ and ‘Dont Stop Till You Get Enough’ while we ‘Rock With You’ even though it was for ‘One Day In Your Life’. I know that ‘Girlfriend’ was your special person and your admiration for her led us to believe you when you said ‘The Girl is Mine’. We knew you were on to a good thing, then finally you admitted to us that ‘She’s Out of My Life’. Interestingly, you met ‘Billie Jean’ and I got the feeling you had to be careful about who you love, hence you ‘Beat It’ and figured out you ‘Wanna Start Something’ new with a ‘Pretty Young Thing’ because you felt it was the perfect time. Your life was a curated scene like a passerby on the street, as you had an understanding of your ‘Human Nature’ and how life can evolve into epic scenes that becomes a ‘Thriller’; with powerful narratives and iconic scenes, that ascended your creative gift into a transcendental sphere. Oh how I am reminded by you, that love is the answer and heaven is in your heart when you said ‘I Just Cant Stop Loving You’ because it is a love that is so true and it is ‘The Way You Make Me Feel’. Life showed you love and it did have its share of ‘Bad’ moments, even though you had a strong belief in ‘Human Nature’. Love inspired you to take a look at ‘The Man in the Mirror’. There and then you realized that love can’t be masqueraded. You had no choice but to express how you felt and socked it to her in ‘Dirty Diana’. They made you felt like you were a ‘Smooth Criminal’ for your honesty. Love is not just a group thing, it is as individual as you are and its ‘Another Part of Me’ that you shared with the world. 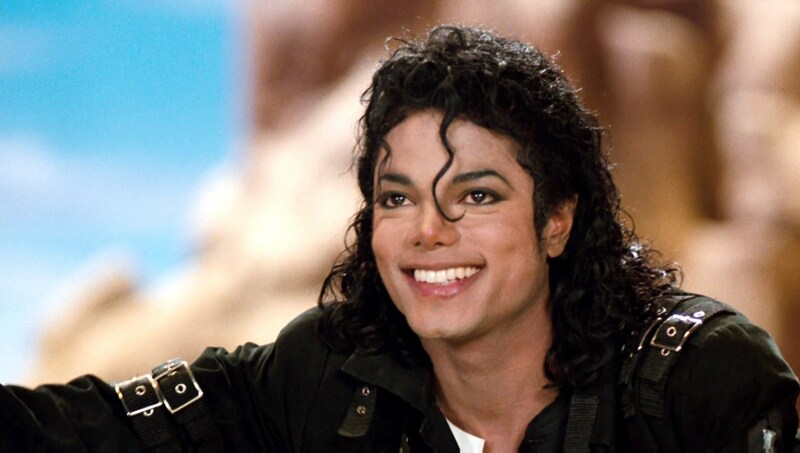 They did not understand love even when you Moonwalked into our lives and said let us ‘Come Together’. Hence, you told those who did not understand to ‘Leave Me Alone’ and continued living despite the pain. You found happiness and empowerment in the ‘Liberian Girl’ and inspired a new kind of love, one that did not matter, whether you were ‘Black or White’. That reminded us to ‘Remember the Time’ being youthful and in love. Understanding that love is a feeling and you on fire, although it is unrequited love, it was always with you, hence you asked the woman to talk to you and ‘Give In To Me’. With open affection not being reciprocated you went ‘Into The Closet’ to conceal your relationship. However, you came out with a bang and moving to ‘Jam’ with unbridled enthusiasm and joy. You knew that there was something about that girl in your intro you said “She Drives You Wild’ and enquired ‘Who Is It’. You displayed compassion, love, kindness and hope with your friends in ‘We Are The World’ because we needed to understand there will be moments in our lives we’ll say ‘Gone Too Soon’ and ‘Cry’ for their is no hope and you can’t do it alone. You also ‘Scream’ at the world for being mean and unfair to your anguish and pain. And questioned why is there no beauty in the world like our ‘Childhood’. Amidst the happenings in your life you knew that ‘You Are Not Alone’ even though you felt isolated during the difficulties. You appealed to a place in our hearts that is love, to make the world a better place for you, and for me, and the entire human race in ‘Heal The World’. By raising a social consciousness that we have a duty to take care of the Mother Earth and all her inhabitants with ‘Earth Song’. It was your rallying cry to halt the wars, the killing of animals and the destruction of her habitats. You realized that ethnic minorities, indigenous peoples, non-white kids and poor people are inhumanely treated and you riotously expressed it through ‘They Don’t Really Care About Us’. In your own lived experience while on your Dangerous World Tour you felt like a ‘Stranger in Moscow’, isolated and disconnected from the world you loved. You asked “How does it feel when you are alone and you cold inside?” You felt like a plot to kill you was on hand in ‘Blood On The Dance Floor’, hence you felt like you were a ‘Ghost‘ even though you shared your story with your album ‘HIStory’. You felt ‘ Invincible’ because no one took the time to know and understand who you were. The essence of your being is love, being in love and experiencing the joy and affection, even it meant risking your life. You told that girl‘You Rocked My World’ who you’ve been searching for all your life. With your amazing remix of ‘The Girl Is Mine’ it brought joy, fun and excitement to your life. You made the appeal amidst the happenings you remixed ‘Wanna Be Startin’ Something’ with your new lease on life. Knowing “that life don’t last forever” and you knew you had to forgive and move on. Hence, you shared with Akon and our beautiful world ‘Hold My Hand’ appealing to humanity that we need to support each other and it will get better between us..“if you just hold my hand”. Through the thick and thin of your life, you never wavered in your commitment to love and you gave to the world a ‘Love That Never Felt So Good’ and for the rest of my days I will be forever grateful for your talents, creativity and passion. The honour and beauty you shared with humanity have left an indelible mark. We came to understand that with your death ‘This Is It’ – a void. However, you gave us a ‘Slave To The Rhythm’. While we celebrate your memory in life…even though you are in ‘A Place With No Name’ your name Michael is etched in our hearts and minds forever. The annals of history is better because even in death your legacy lives on. You are the first hero I have known, the epitome of strength, courage and love. You are the embodiment of caring and sharing, through your display of affection for mom, your children and others. You showed that you cared through the joys you brought with your selfless acts of kindness and the laughter you shared just living. Your examples of patience, understanding and inspiration provided assurance when I felt that my voice wasn’t understood. Your arms was always wide open for us to run to, providing protection, reassurance, love; and the knowing that everything was going to be alright. Your guidance, encouragement and diligence to duty to care for your family are the epitome of respect for life, nature and humankind. Your kindness knew no boundaries, your exemplary acts of selflessness allowed you to persevere against all odds. You believed in my potential for greatness and to be the best at all times. You taught me that, not by telling me how to live, but by watching how you lived. You were there when the going got tough, but you showed me how to keep going even though it was rough. That is resilience and for that, I am ever so grateful. You may not be here, but your spirit continues to be a guiding light: a precious gift of love and abiding trust. Thanks for being my best friend, one who cared, listened and shared, and most importantly for just being you. You might not be here, your death does leave a heartache, a pain that no one but me can feel, however it is one that only time can heal. Your unconditional love, kindness and the joy you shared are forever etched in my memories, where time nor space can steal. Forever loving you, Happy Father’s Day Dad! 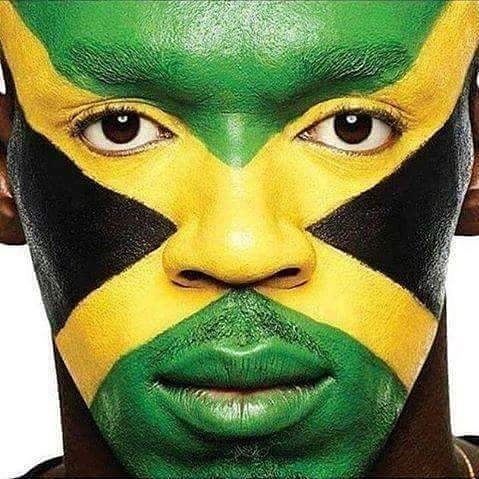 The island nation of Jamaica hosted ‘Salute to Legend’ an emotional farewell and tribute to Usain St. Leo Bolt @usainbolt World Record Holder and Multiple Olympic Gold Medalist who made his final run on home soil. 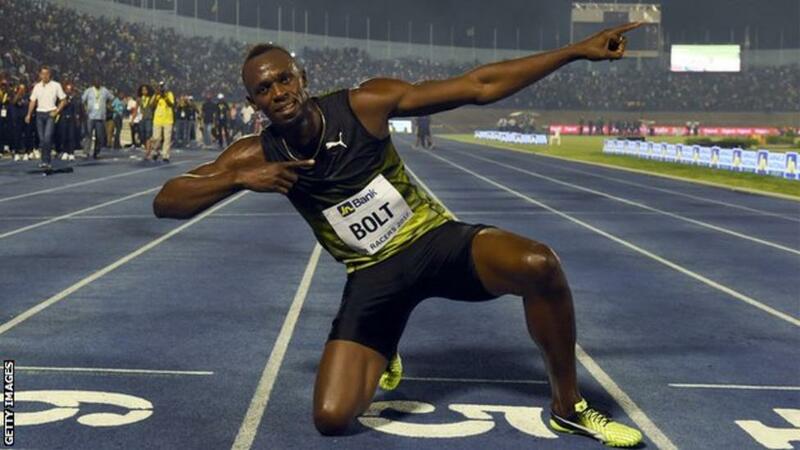 For the people of Jamaica Usain Bolt is a sportsman that is a legend with an iconic status as a living national hero. He embodies the indomitable spirit of a grateful nation and the relentless pursuit of excellence, that exemplifies the best in all of us. The iconic sprint sensation competed in his final race on Jamaican (home) soil at the JN Bank Racers Grand Prix at the National Stadium, Independence Park in Kingston, Jamaica to a jubilant crowd of over 35,000 spectators, well-wishers and friends. Usain Bolt is the most accomplished sprinter in the history of athletics. In a crowning moment at 2016 Rio Olympic Games, he secured a triple-triple by winning gold in the 100 meters, 200 meters and 4×100-meter relay for the third straight Olympics. His achievements are etched in the annals of history and will forever be remembered as sprint sensation with his iconic ‘To di World’ victory pose. Usain Bolt’s final international run will be at IAAF World Championships in London this Summer when he brings the curtain down on a superb career and runs off into the Jamaican sunset. The opportunity to have witnessed where his amazing career started in July 2002 at the IAAF World Junior Championship at the same venue of his farewell, where he won his first gold medal, is euphoric, emotional and energy-filled. 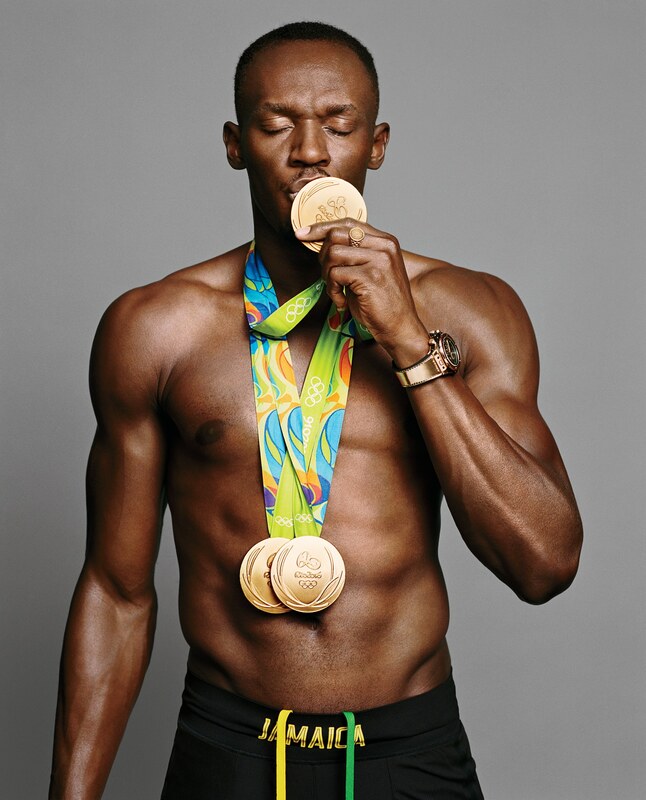 With the closing of this chapter of your life, we express our heartfelt gratitude to you The Honorable Usain St. Leo Bolt for fifteen amazing years of stellar performance and forever faster thrills on the global stage and your philanthropic work. Hugh Anthony is a keynote speaker and lifestyle coach for executives, creative and transitioning professionals. He is committed to helping individuals transform their passions into possibilities to enhance value creation by harnessing their lifestyle and experience to be more meaningful, profitable and purposeful. Standing in the Truth of Who You Are!